Authentic appearance to these Lotto Replicas. 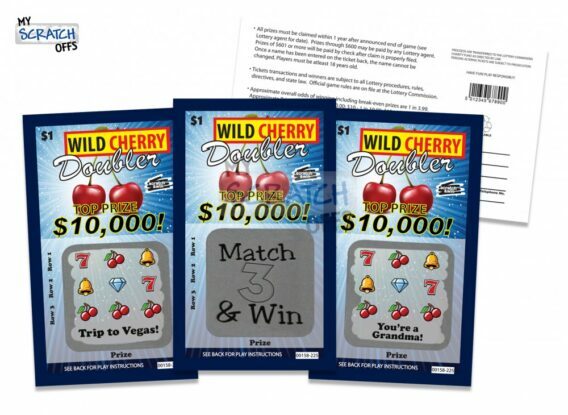 WE customize these lotto replicas to reveal any kind of special message you may have! You’ve Won a Trip to Las Vegas! It’s a Boy/It’s a Girl! Match 3 & Win design printed on the scratch off area. 3 Winning Cherry Images Appear & you can hand write in the whatever you wish to give away.